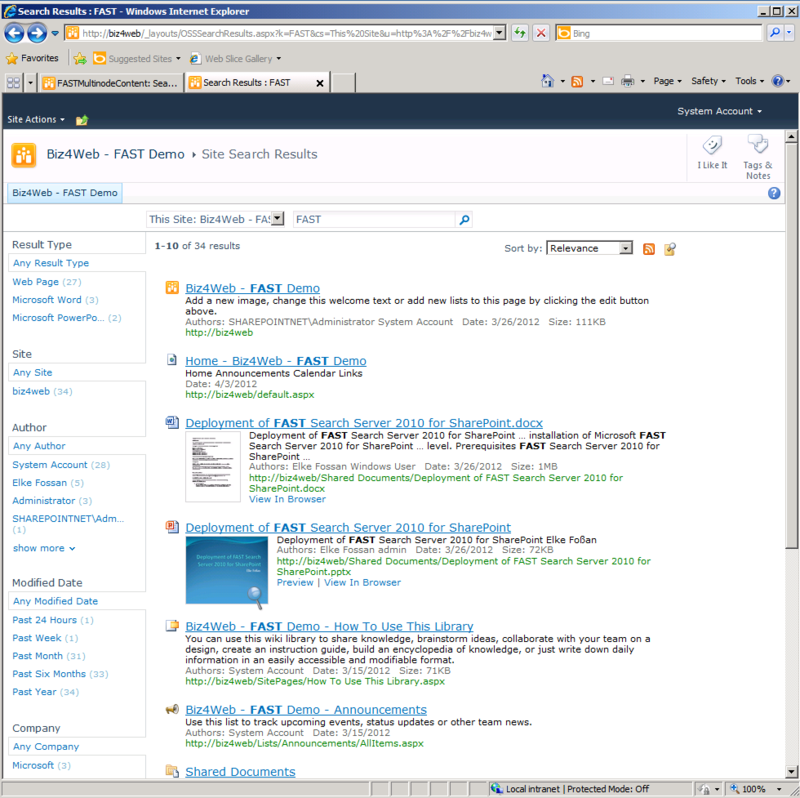 One of the features of FAST Search is the ability to show a document preview directly on the search page. 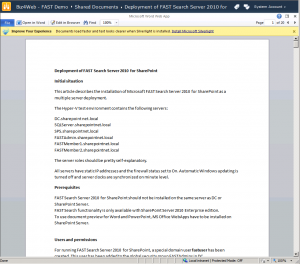 This is the last sequel of the FAST deployment post. 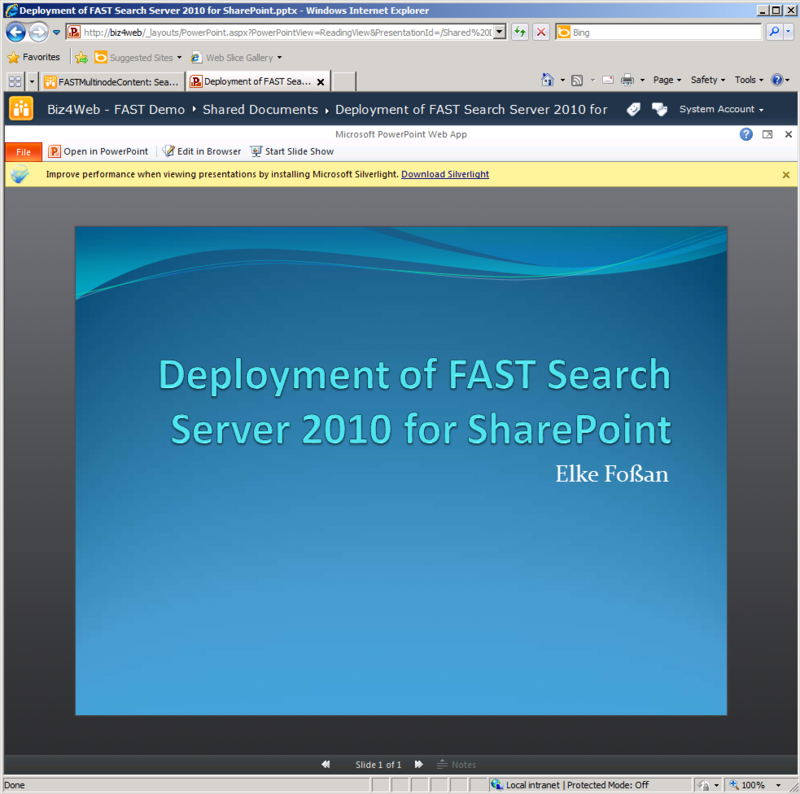 In the site collection features of the SC where you would like to use FAST Search, activiate SharePoint Server Publishing Infrastructure. 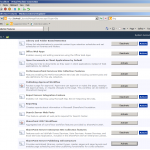 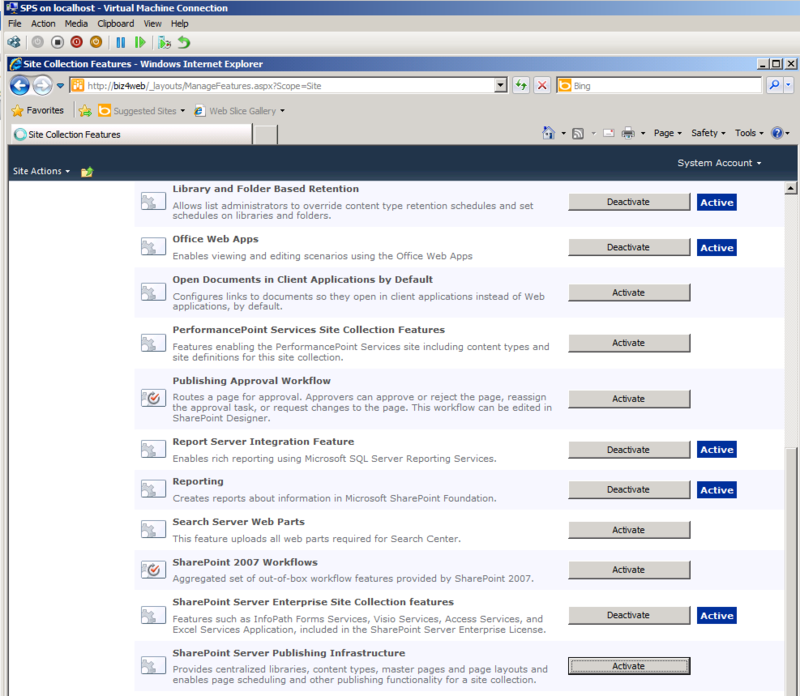 SharePoint Server Enterprise Site Collection features was activated by default. Now you should be able to use FAST Search in the site collection and to preview Word and PowerPoint documents on the search site. 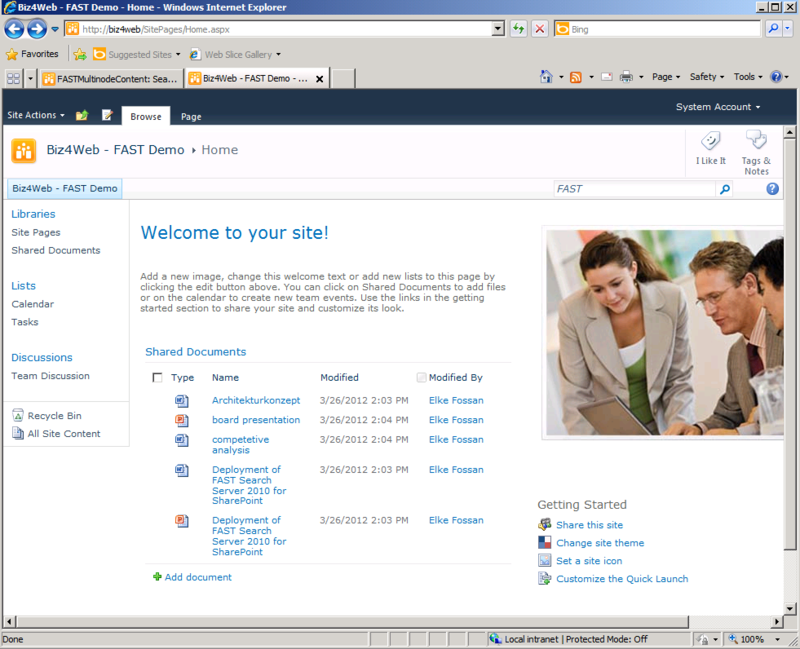 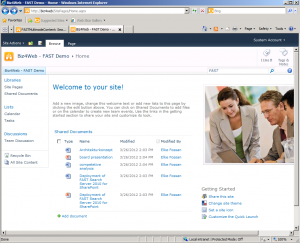 This is the FAST search results site with the document previews of the Word and PowerPoint document. 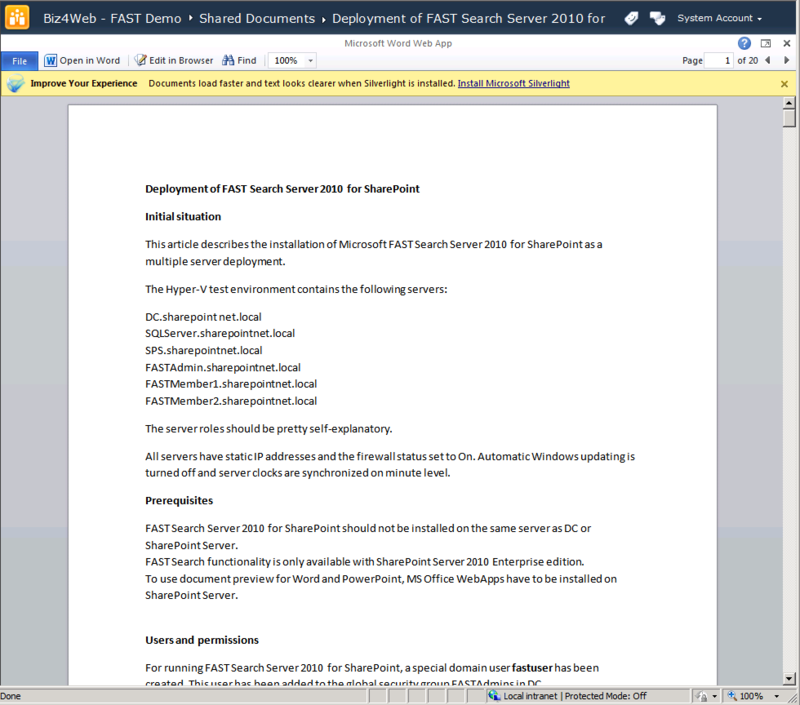 By clicking the link “View in Browser” the document will be displayed directly in the browser.